In 1949, Philip Renning, an accomplished graphic artist, started our company. He had an interest in printing and a talent for designing with letterpress type. The company was named Ten Bamboo Studio, after a Chinese block-print manual produced during the 17th-century. 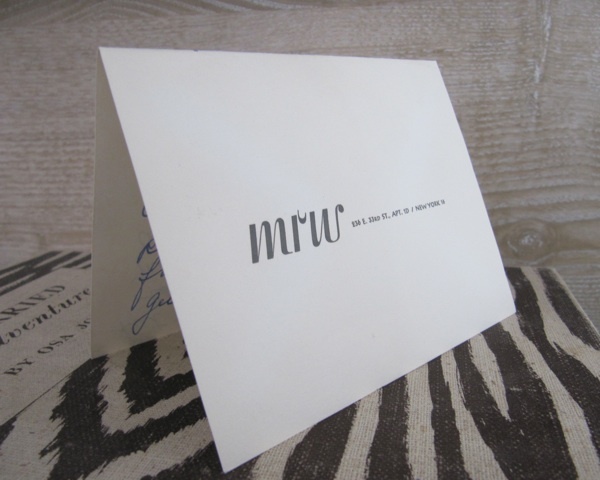 Together with his wife, Rita... the Renning's built their Wellesley, Massachusetts business by offering personalized stationery of excellent quality, innovative design, and tremendous attention to detail. Their products were sold through 400 of the finest stores in the country, many of which continue to sell our products today. 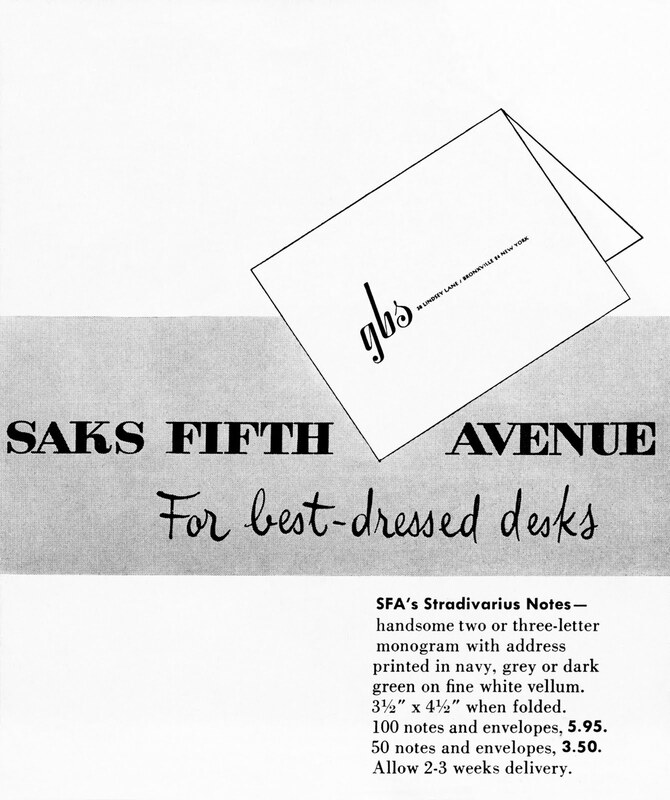 The Rennings created Saks Fifth Avenue's Stradivarius Folded Notes, personalized with a two or three-letter monogram and address. A member of our blog team has a note on this very style from 1958, given to her by a friend of her parents when she was born. "When I first learned you were coming, I started saving these coins for you..."
The coins are still wrapped in their original tissue inside the original box with a pink bow and the sweet note written on Ten Bamboo Studio's Stradivarius Notes for Saks Fifth Avenue. And, will undoubtedly be passed along for generations to come. For a best-dressed desk, see our collection of personalized notes here. What a nice bit of history! We think so too!! Thanks Jen and Happy 4th! !